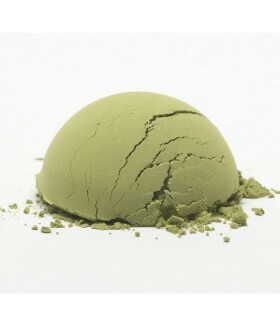 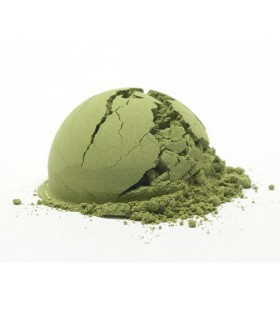 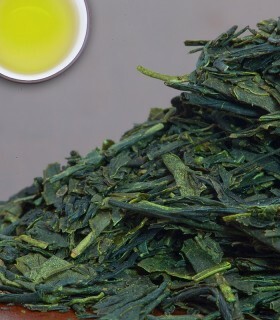 Gyokuro is known as Japan's best green tea. 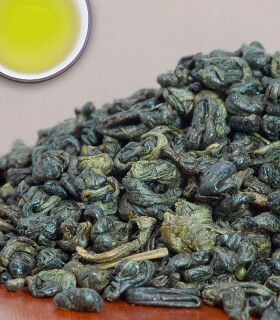 It is made from single buds that are picked only in April/May. 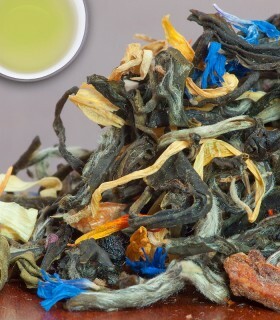 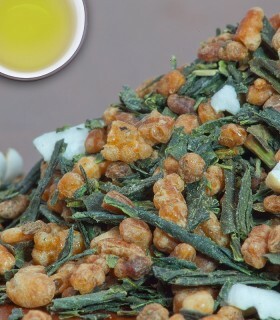 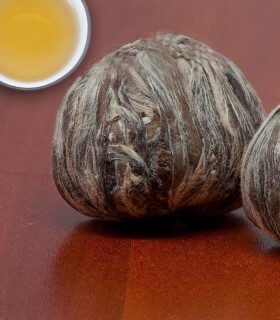 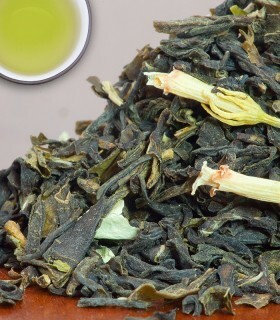 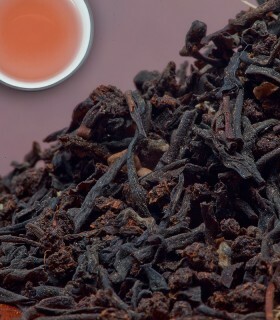 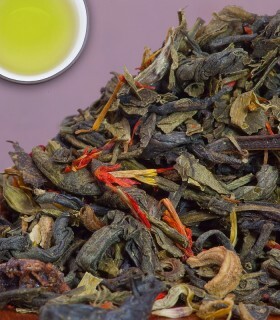 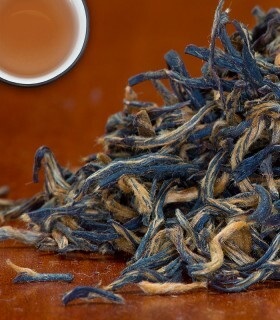 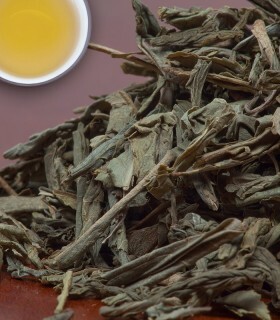 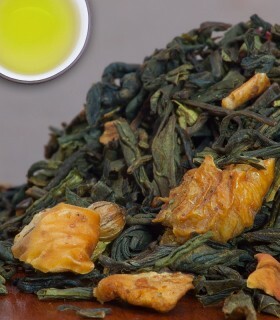 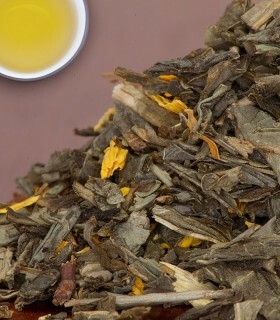 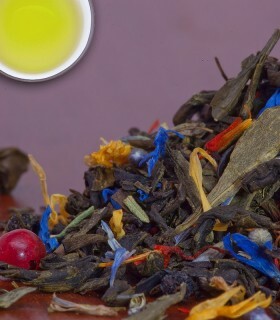 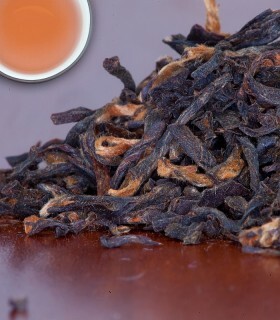 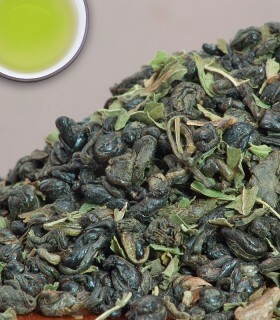 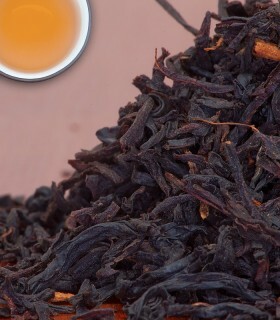 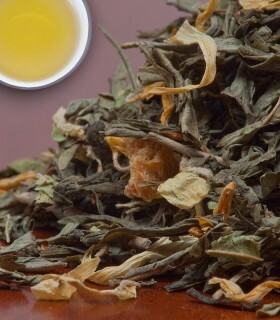 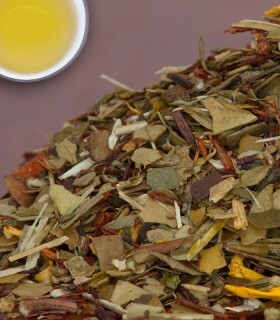 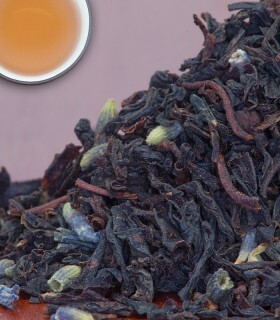 In an effort to develop increased chlorophyll (making tea dark green) and reduced the tannin (giving a sweeter flavour with no bitterness), the tea is covered with black curtains or bamboo and straw shades for 3 weeks in early spring. 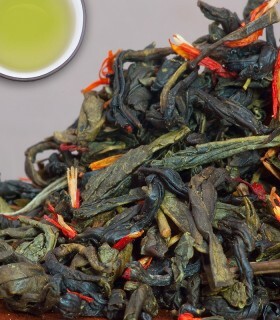 Immediately after plucking the leaves are taken to the factory and steamed for about 30 minutes to seal in the flavor and arrest fermentation. 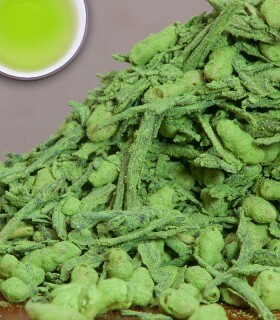 Next they are fluffed with hot air and pressed and dried to 30% moisture content. 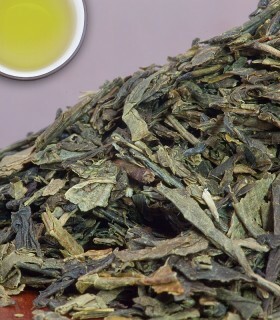 Repeated rolling takes place until the tea develops long thin dark green needles at which time it is finally dried to a 4-6% moisture content. 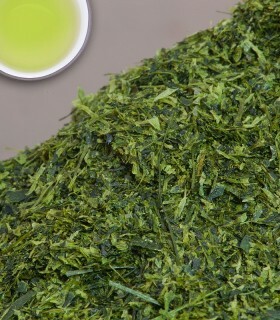 Gyokuro has been referred to as "history, philosophy and art in a single cup." 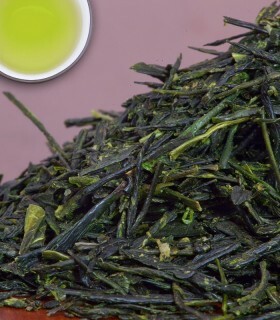 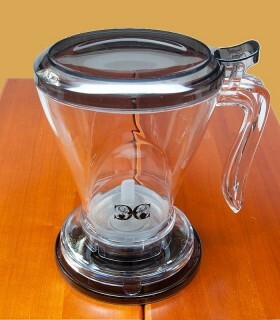 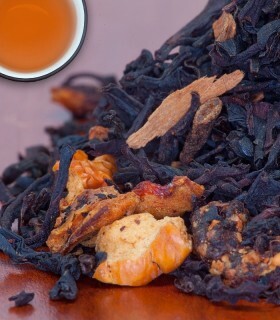 Usually steeped in a kyusu (special Japanese teapot) and served in Japanese cups. 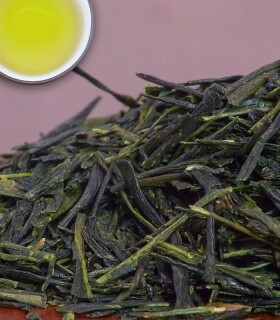 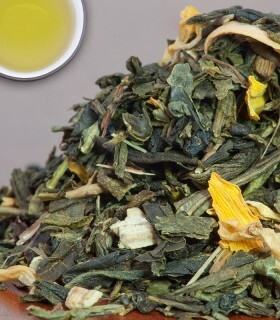 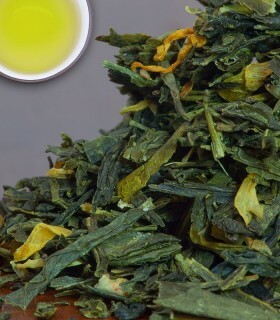 Recommended Drinking Time: Gyokuro is a great green tea for any time of the day.